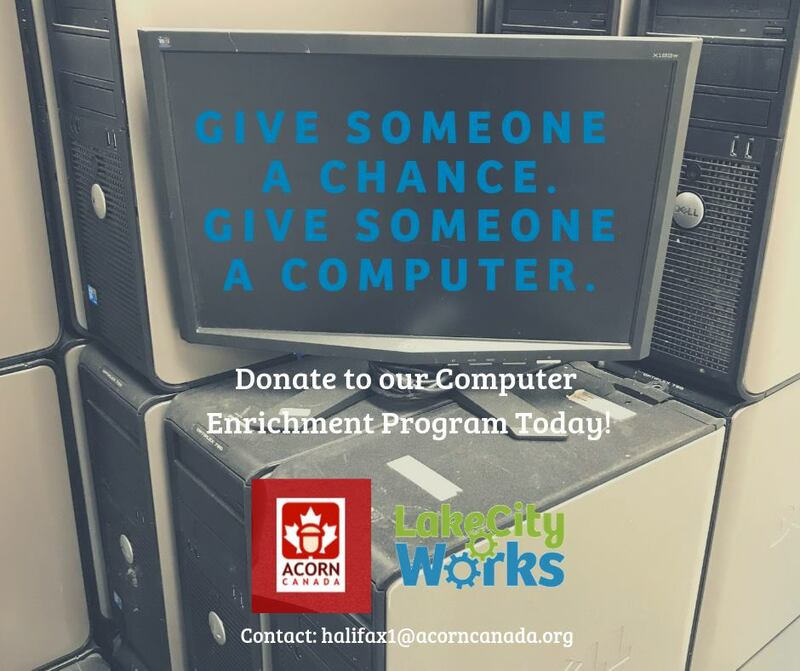 Nova Scotia ACORN is collaborating with our community partners, LakeCity Works, to launch a Computer Enrichment Program! We are seeking donations of computers and other devices for refurbishment, storage and distribution. The LakeCity Reboot team will recycle donated laptops and other devices, selling them at affordable prices – making them more accessible to more people. In donating to the program, you can help low-income families get online and stay connected. To support the program, or for more information, please contact us at halifax1@acorncanada.org.